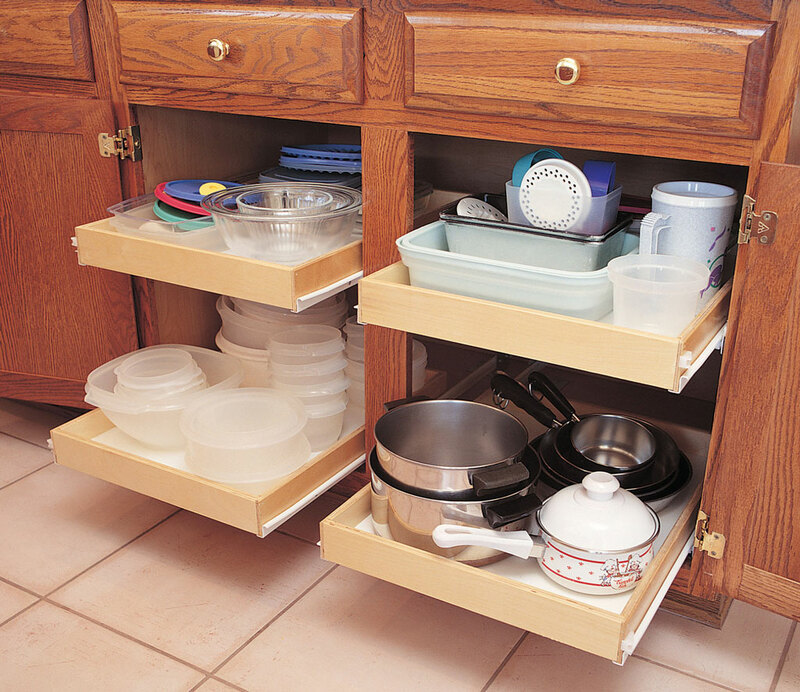 Strongest blind corner lazy susan unit available. Installs in left or right hand cabinets. Polymer bushings surround all rotating bearing areas for super quiet performance. 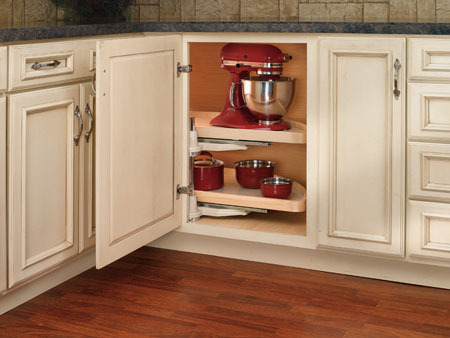 Two mounting brackets are included to accommodate both frame and frame less cabinetry. Self closing roller design provides positive action positioning in both the open and closed positions. Both shelves pivot and slide out. For details on sizes take a look at our specifications page. Available in White or Almond.